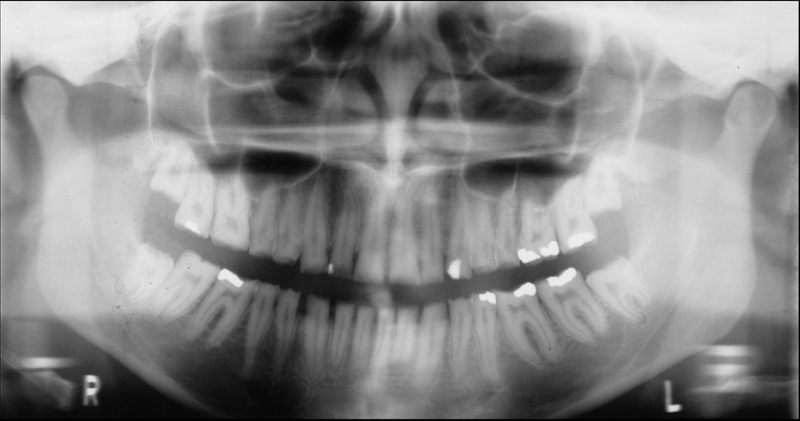 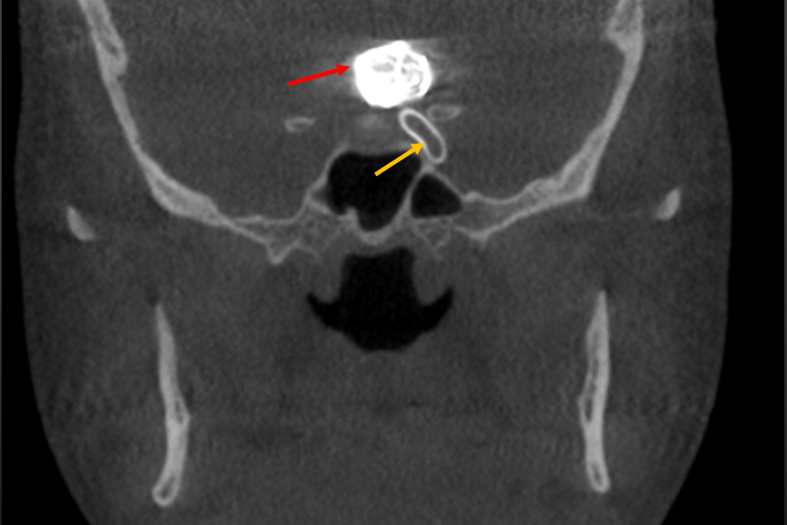 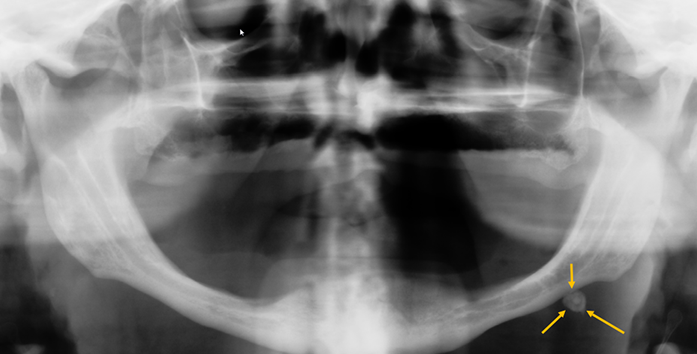 Residual Cyst(outlined in red arrows) located in the maxillary anterior region in an edentulous site. 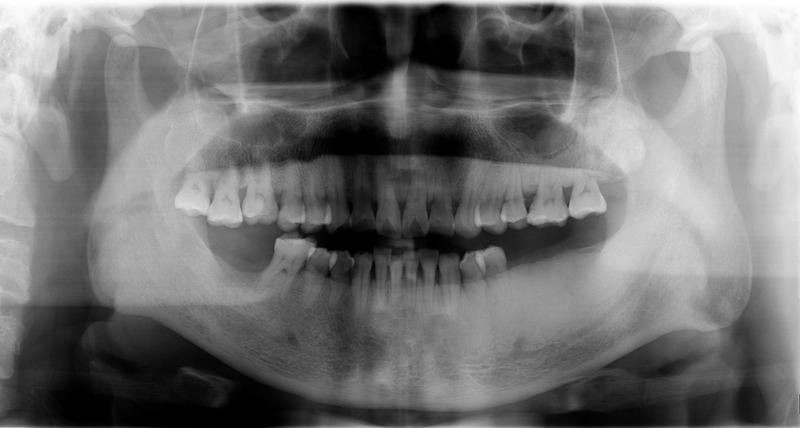 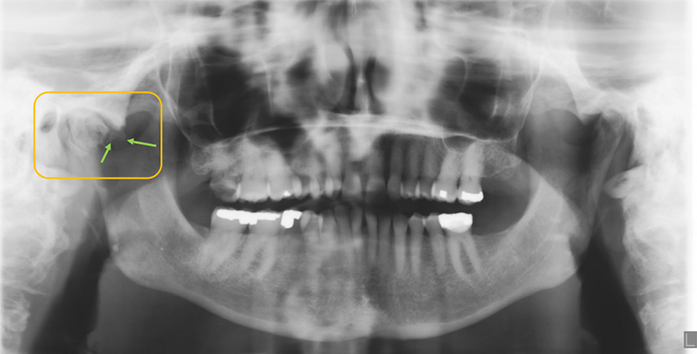 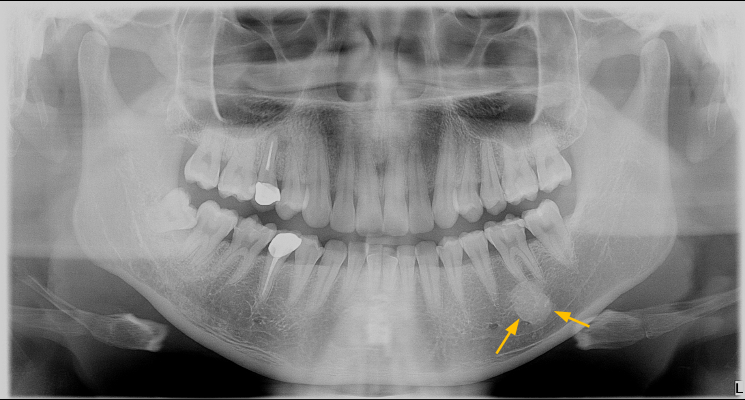 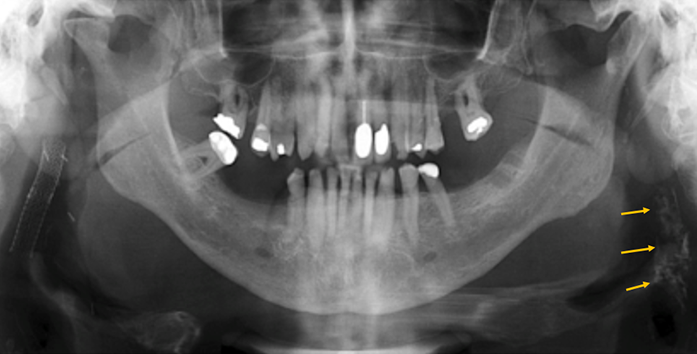 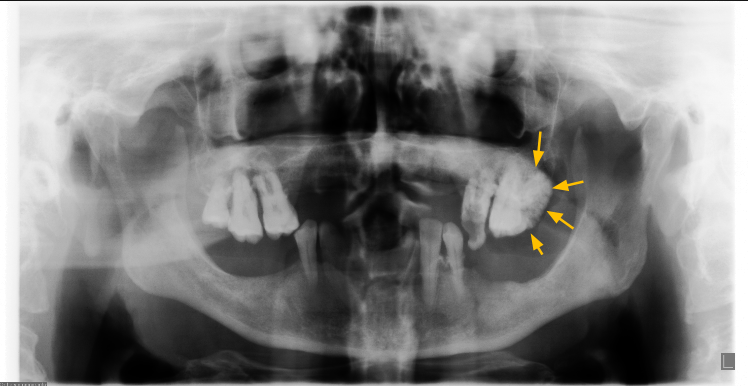 Residual Cyst(outlined in red arrows) located in the mandibular right premolar region in an edentulous site. 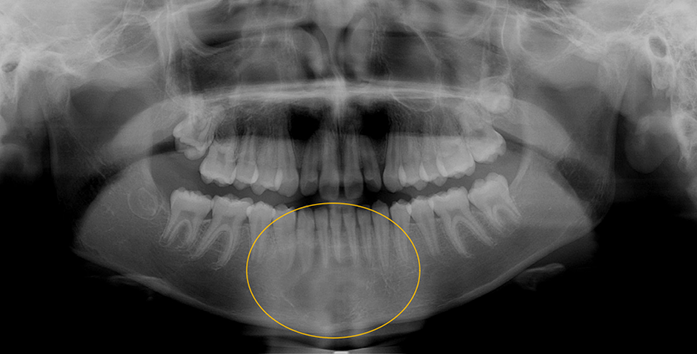 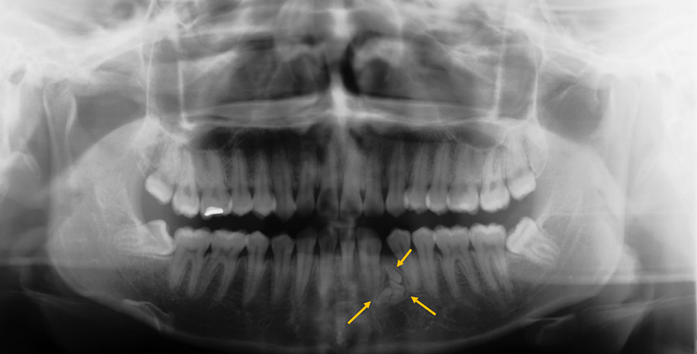 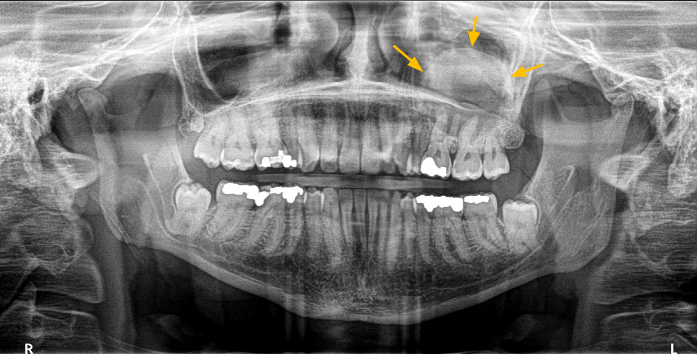 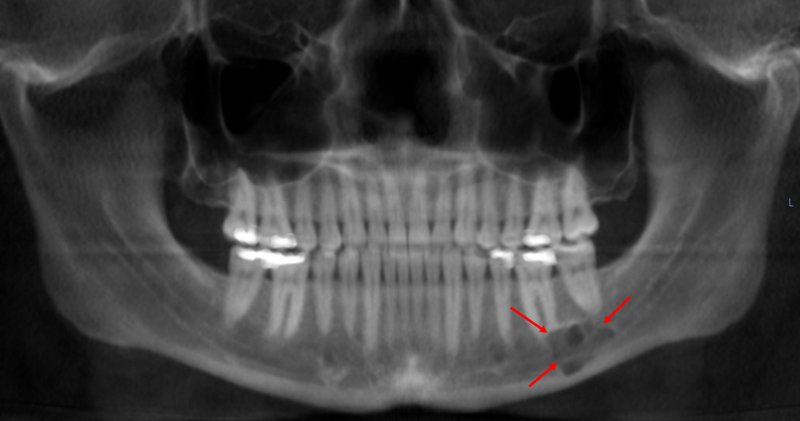 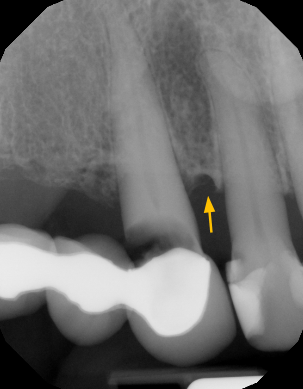 Residual Cyst(outlined in red arrows) located in the mandibular left lateral incisor region in an edentulous site.